The Jay Easy Visco Cushion Offers Posture Relief. 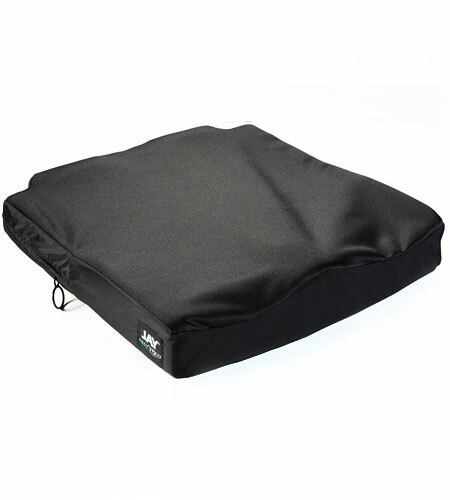 If you require moderate positioning and posture relief from your wheelchair cushion, perhaps the Jay Easy Visco cushion is for you. It is an economical cushion that's suitable for those at moderate risk of developing pressure sores. The Jay Easy Visco has a flat base for use on a solid seat pan, or can be used in combination with a solid insert. This makes sure that the cushion maintains stability. Featuring a notch at the rear of the cushion base to make a perfect fit, this cushion prevents tissue breakdown around the coccyx caused by bouncing or awkward tilt. Excellent cushion. very comfortable. thank you for your efficient service.